When making their spring cleaning checklist, many homeowners include the outside of their home. The harsh winter months and the rainy weather of early spring can be rough on exterior surfaces, leaving behind dirt and residue, dulling the appearance of your home. Professional power washing services are a great way to spruce up those exterior surfaces and summer is a great time to power wash.
May flowers aren’t the only thing those April showers bring. All that rain combined with the rising temperatures of the approaching summer season create the perfect environment for mold and mildew to grow. This growth not only has a negative impact on the appearance of your home, it is unhealthy and can even be dangerous. The growth of mold and mildew on your outdoor deck, stairs, and walkways can make them slippery, potentially resulting accidents and injuries. It can also be extremely irritating to those with allergies, causing their symptoms to escalate. Professional power washing services will remove the unsightly growth and help keep your family comfortable and safe. It’s best to wait until the summer heat arrives to do this. If you power wash the exterior surfaces of your home too early in the season, you may end up doing it again. 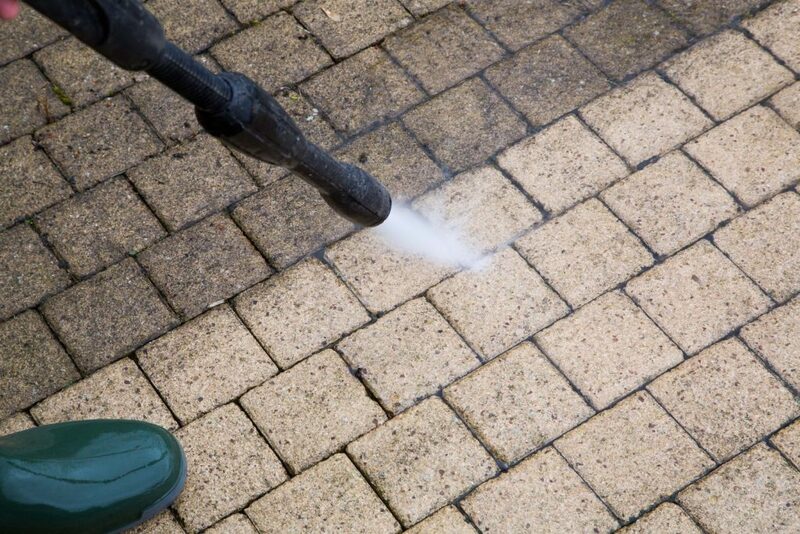 Once the rainy spring has passed and the weather starts heating up, it’s the perfect time for professional power washing services. With earlier sunrises and later sunsets, there is more daylight, making it possible to completely power wash all the exterior surfaces of your home in one day, no matter how big the job is. They will dry faster and the ground will more easily absorb the runoff. 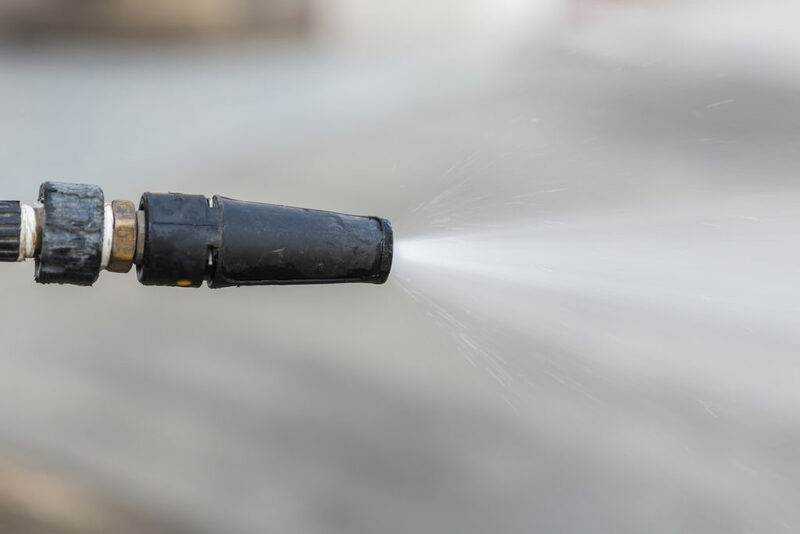 Because summer weather is generally drier, you probably won’t encounter an unexpected spring shower that will derail the project or immediately sully the results of the power washing services. Just like washing your car, no matter when you have your home power washed, it won’t stay clean forever. However, that freshly washed appearance will last longer if you enlist professional power washing services in the summer. You won’t have to deal with the falling debris caused by winter weather or the severe spring rains. With the bulk of pollen being produced in the spring, your home will stay cleaner longer if you wait until summer arrives to power wash home. Before you consider power washing your home yourself, you might want to consider the benefits of letting the professionals take care of it. The Right Equipment – A professional power washing company will have all of the latest equipment and the proper cleaning products to clean your home’s exterior surfaces thoroughly and efficiently. Avoid Damage – A professional power washing company will have the knowledge and experience to complete the project safely. Power washing equipment packs a lot of power and if you don’t know how to use it properly you could damage your home or cause personal injury. Convenience – You can sit back and relax while the professionals power wash your home. They will complete the job in significantly less time that it would take you to do it yourself while saving you the hassle. Always Immaculate offers complete residential and business cleaning services including professional power washing services. Our trained professionals use state of the art equipment and biodegradable solutions with just the right amount of pressure to remove dirt and debris safely while keeping noise to a minimum. Contact us today and schedule our power washing services refresh your home’s exterior.